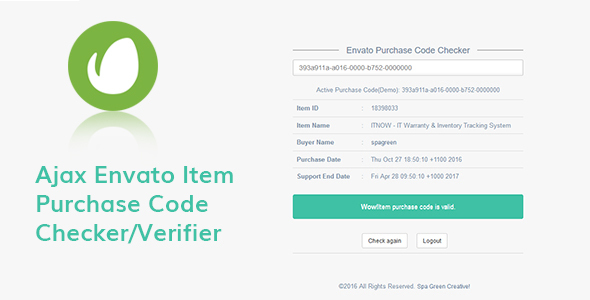 AEPCC is a php based system to check or verifying purchase from envato market. An author can check their real buyer by item purchase code. This system support Codecanyon, Themeforest, Audiojungle, Videohive, Graphicsriver, Photodune and 3dceanâ€™s item to check.! !